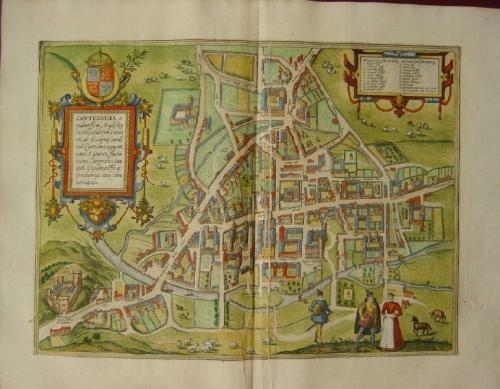 Original colored copper city view ca 1575 from Civitates orbis terrarum. The intricate pattern of the college buildings and quadrangles of this ancient English university town is beautifully depicted in this engraving. Text verso french, fine condition, slightly browned. Some squeezed folds around the centre fold.